Why do we wear what we wear? For some, it’s just a matter of personal style. For others, fashion choices are dictated by socio-cultural factors such as work environments, cultural norms, political and/or religious associations, gender, and even race. In my interview with Kimberly Jenkins, fashion educator at both Parsons School of Design & Pratt Institute, she highlights past views some have had about fashion through the lens of race. She discusses how fashion pioneers like June Ambrose & Misa Hylton charted new courses in fashion in spite of race. She also explains how her own research in Fashion & Race seeks to foster communicative pathways to the hard to broach topic of race relations in our country. The work Kimberly is doing has been mentioned and featured in VOGUE, The Wall Street Journal, New York Mag, Fashionista, i-D, WWD, Dazed, Refinery 29, Nylon and so many more! I have no doubt that Kimberly’s work stands poised to change the trajectory of fashion studies as we know it. Listen to Episode 53 of The Fashion Alumni Podcast to hear Kimberly’s story! Fashion historian and lecturer/professor at Pratt Institute and the New School, Kimberly Jenkins discusses the intersection of fashion and race throughout history. Writer, co-founder of Food Book Fair, and fellow HRN host Kimberly Chou discusses how we similarly use food in de/constructing identity. 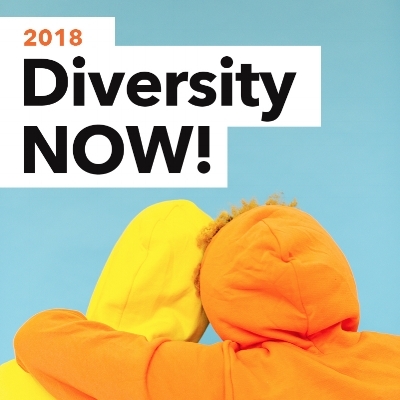 In March 2018, the Centre for Fashion Diversity & Social Change invited New York-based scholar Kim Jenkins for our 6th annual Diversity NOW! lecture series to speak on fashion, race, style, hair, and her trailblazing work on decentralizing narratives in fashion history. We need to talk. And we need to listen. Fashion is supposed to be modern, cutting edge, leading the way. But is it? Or is it stuck in old-fashioned tropes that place white culture at its centre? Now is the time to shake things up and insist on representation and inclusivity, and we all have our parts to play. But what does diversity really mean? Are we headed in the right direction, and are we going there fast enough? In this week's Episode, we meet Kim Jenkins, a New York-based writer, educator and authority on the intersections between fashion, race and culture. We chop it up this week with Kimberly M. Jenkins, a professor of fashion history who specializes in “the sociocultural and historical influences behind why we wear what we wear,” and Yahdon Israel, founder of Literary Swag Book Club and #FBF2017 collaborator. On the agenda: the intersections of food and literature, literature and fashion, fashion and race, and much more. It gets lit! Today on the False Image Fashion Podcast we professor at Parsons School of Design & Pratt Institute Kimberly Jenkins. Kim Jenkins is a New York-based educator and graduate of the M.A. Fashion Studies program at Parsons The New School for Design. Kim has devoted her life thus far to not only accepting the formalities within the fashion industry but as well using education to create instant change at two of America’s largest fashion institutions. If you have the opportunity to meet Kim you will witness she has a rooted passion for understanding human races, origins, and other cultures. Kim's latest endeavors include a course taught at Parsons entitled “Fashion and Race”, the online project, “The Fashion and Race Syllabus” and the expansion of The Fashion Studies Journal. Today, she discusses the scenic route she took before becoming a fashion scholar.